The bright sunny days we have had are ideal for highlighting the soft shades of grey and silver in the garden. 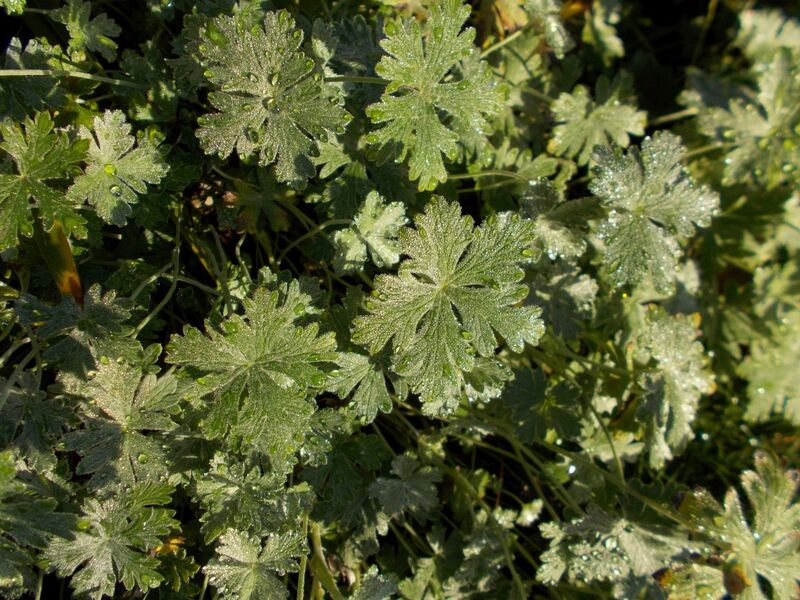 The foliage of Geranium traversii var. elegans, a plant tucked at the lawn edge of the alpine wall was covered in melted ice crystals as the sun lit the area. These grey leaves glistened in the low angle winter sun. 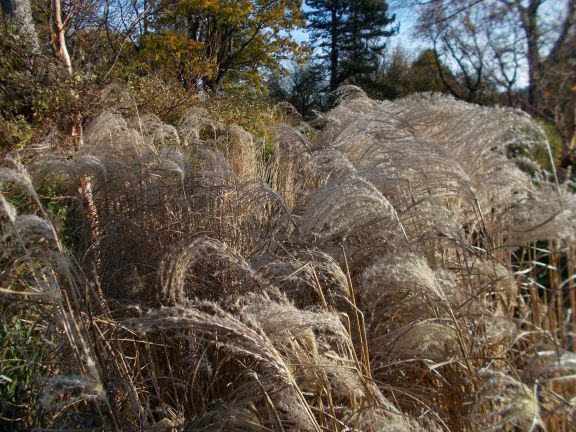 Taller, the silver seed heads of Miscanthus sinensis ‘Flamingo’ caught in the setting sun and given movement in the breeze adds to the diversity of the garden at this sometimes dreary time of year.